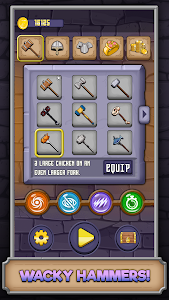 Equip your armor, pick up your weapon, and enter the dungeon! 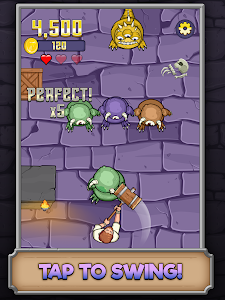 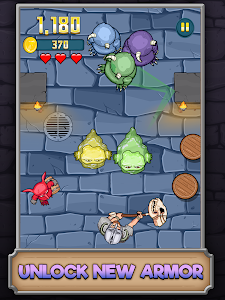 Simple one touch gameplay empowers you to swing your hammer and smash monsters, earning coins and loot along the way. 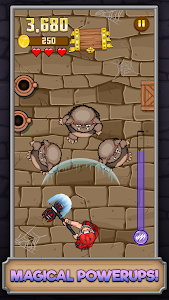 Knock enemies into each other or bounce them off objects for chain kills. 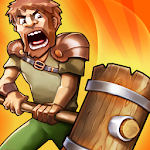 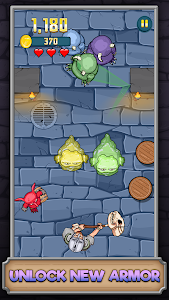 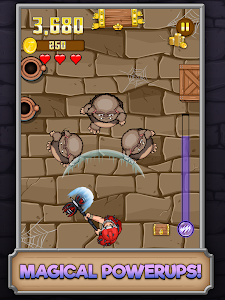 Unlock new powerups to venture deeper into the dungeon and reach new scores. 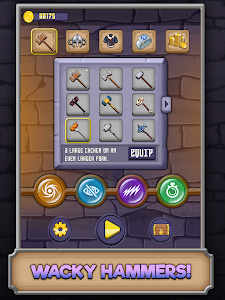 Open treasure chests when your run is over and get more items to dungeon crawl in style! 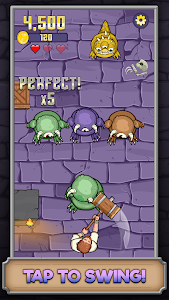 New: complete levels to reach a boss fight and unlock exclusive items!